With an economy once based on mining, Nevada now draws much of its income from entertainment and tourism. The state has the most hotel rooms per capita in the US, which testifies both to its popularity with visitors and the low population density that contributes to Nevada’s unspoiled natural beauty. Known for its desert landscape, Nevada is also home to many great lakes and stunning state parks, including Lake Tahoe, Lake Mead, Great Basin National Park, and Red Rock Canyon, where horse-riding, biking, and rock scrambling are some of the exciting outdoor activities on offer. And, of course, we can’t forget the Grand Canyon, one of the most thrilling natural wonders of the world, and one that’s attracted many daredevil thrill junkies to pit themselves against it over the years. 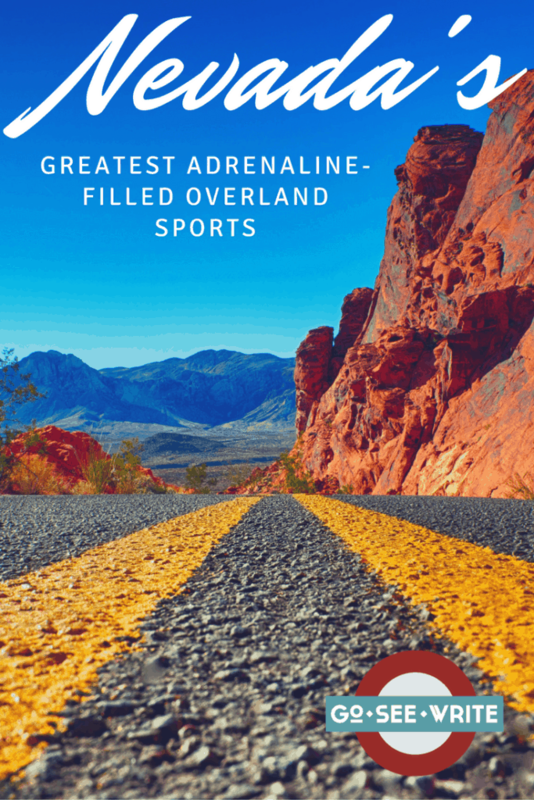 Ever since Hunter S. Thompson first famously arrived in 1971 to cover the Mint 400, which he depicted in his novel Fear and Loathing in Las Vegas, Nevada has also been synonymous with adrenaline-filled overland sports. Originally running from 1967 to 1988, the Mint 400 was revived in 2008 and remains one of America’s most spectacular off-road races. Covering a 120-mile loop from just outside of Las Vegas to the Nevada-California state line, the Mint 400 attracts over 60,000 spectators, 350 teams, and a full complement of media and celebrity glamor alongside some of the world’s toughest drivers and vehicles. The next race takes place in March 2017, marking the event’s 50th anniversary. For non-professionals wanting to experience the thrill of desert racing in the first person, the options include dune buggy racing with the Vegas Mini Baja Chase. Starting just 15 minutes outside of Las Vegas, and covering 15,000 acres of desert terrain, there’s a range of events on offer, and helmets, goggles, and gloves are all provided. Each buggy comes with a full roll cage and four-point harness. You can see some great desert sights while also enjoying the thrills and spills of off-road driving with this well-recommended mom and pop operation. Drivers and groups can take the tour at their own pace, meaning that adrenaline junkies are free to race as fast as they want. It’s not a trip you want to rush, however, even if you’re looking forward to the excellent burger and beer lunch at the end. One of several outfits offering razor buggy adventures in Nevada, Zero1 specializes in group and corporate events as well as offering individual outings. All participants are provided with radio-equipped helmets to keep in touch with each other, and drivers are assigned their own Polaris RZR XP1000 buggy for a guided adventure through the Mojave Desert. The city of Las Vegas offers adrenaline-filled adventures of its own, including many options to hire a luxury car, racing car, or exotic muscle car at the iconic Las Vegas Motor Speedway; and let’s face it, if you want to do Nevada in style, you really do need to be based in Las Vegas, ideally at one of the several luxury hotels developed by business magnate Steve Wynn. These resort hotels combine upscale accommodation with stunning views; world-class entertainment, including exclusive performances from some of the planet’s most in-demand live attractions; and a full range of amenities, including some you probably haven’t even thought of. Hotels include the towering Wynn Las Vegas, the Encore, and the Wynn Macao, where the truly extravagant can stay in the 2,000-square-foot Grand Salon suite. Other options include renting a 4×4 Jeep and navigating some of Nevada’s scenic trails. There will be many opportunities to push your Jeep to its furthest limits by crawling over a range of rock formations; you can join a guided tour, or simply hire for the day and go out on your own. A range of adventure trips are also available, including kayaking and other water sports, horse-riding, climbing, and rappelling. There’s much more to Nevada than just Las Vegas, even if the city is an obvious base for operations. Away from the bright lights, much of Nevada’s appeal lies in its breathtaking scenery. This ranges from rugged desert to jaw-dropping canyons and gorgeous lakes. The landscape is a gift to anyone looking for the excitement that can be had from driving out into the wilderness and testing their own resources to the limit. From self-sufficient road trips to organized activities in a plethora of elements, the choices can seem endless. Indeed, for anyone looking for adrenaline-filled thrills, Nevada is America’s playground.